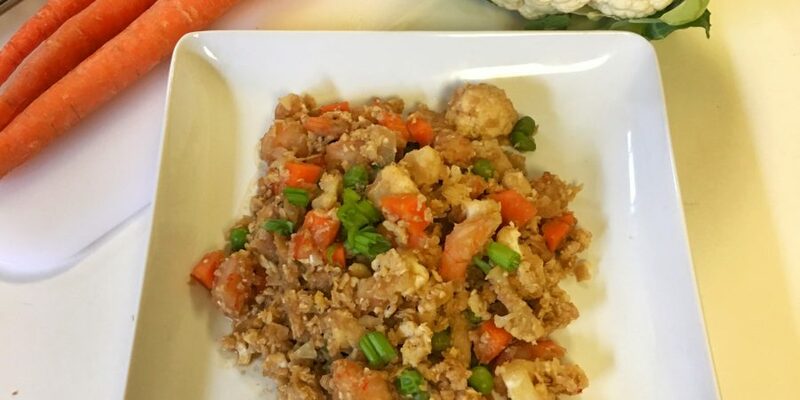 This low-calorie Cauliflower Shrimp Fried Rice recipe is surprisingly delicious and filling. I first heard about Cauliflower rice a few years ago and thought I would skip this food trend. It appears Cauliflower is the new Kale when it comes to popular vegetables. 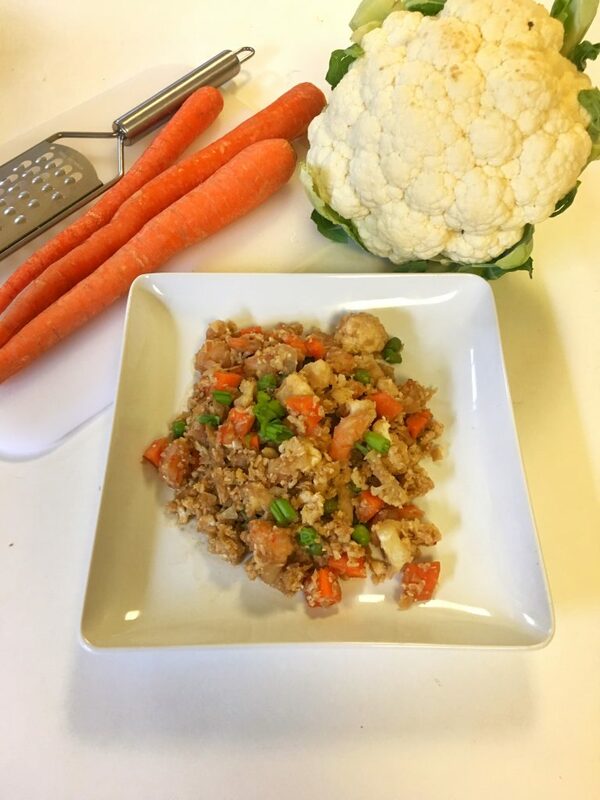 I was challenged to come up with my own Cauliflower rice recipe, so after some research, I found a Cauliflower Fried Rice recipe that I tweaked. For this season, I’ve been focusing on eating healthier. On my Facebook and Instagram pages, I’ve asked my followers to share healthy recipes that they’ve tried or that they’ve wanted to try to see if they were any good. 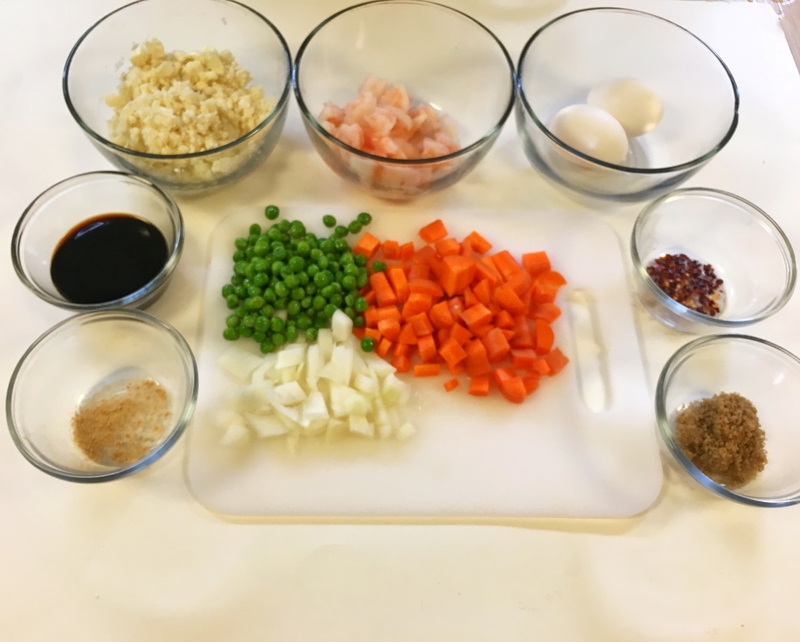 I love Shrimp Fried Rice so the thought of replacing the rice with cauliflower was a little scary. This recipe definitely doesn’t taste just like rice, but it does have all the delicious flavors of a Chinese inspired fried rice with fewer calories! For the recipe below, make sure you cook the cauliflower to the texture you like. I like my cauliflower very soft but my husband prefers a little more texture. Cook the mixture for 5-7 minutes and taste it to make sure you’re comfortable with the texture. The original recipe had no shrimp and was just under 300 calories per serving. Chop a head of cauliflower into florets and grate with a grater or place in a food processor. Heat a large wok (or skillet) over medium heat and drizzle in oil. Add onion and carrots and saute until tender, about 3 minutes. Meanwhile in a small bowl, whisk together soy sauce, brown sugar, ginger, pepper and red pepper flakes; set aside. Stir in cauliflower “rice” and pour the soy sauce mixture on top, mixing well. Cook for an additional 5 to 7 minutes, until cauliflower, is soft and tender. Important to make sure the cauliflower is not crunchy. Do you have a favorite way to eat cauliflower? 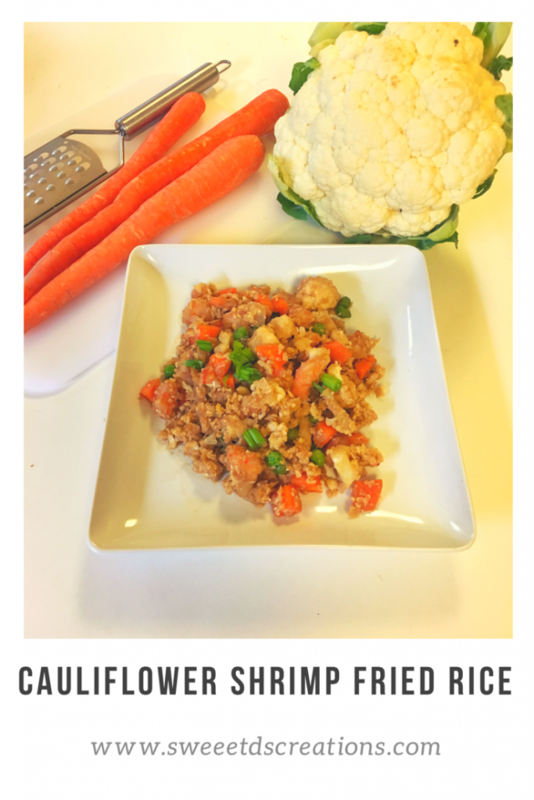 Have you ever tried cauliflower fried rice?